Several kitchen countertops exist. Some have been used for several years now, and others are being reconsidered as an option these days. Do you desire to have the trending countertops that have both beauty and resilience? Keep on reading as in this article we will discuss the latest trends in kitchen countertops. For a better classification, we have divided our classification into two sections namely the most durable and the most popular. Durability is a major asset in the selection of a kitchen countertop. 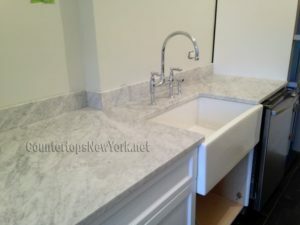 That is why, some countertop materials were able to stand out and eventually trend because of their durability. These countertop materials are the Black Absolute Granite and the Black Galaxy Granite. Originating from India, Black Absolute is a mixture of resilience, strength and durability. Black Absolute is able to withstand shock easily and eventually be around for more time than almost all other countertops. Besides all the already mentioned features, Black absolute offers a unique look due to its consistent dark color and its texture. It is therefore ideal for the lover dark colors, and houses with kids where the countertop is very likely to either get bruised, stained or both. Also originating from India, it has a unique outstanding dark look, with small gold and white specs. Of course, it also has a great ability to withstand shock and can also be around for quite a period of time. The gold and white specs give it a more aesthetic look than that of the Black Absolute. The most popular kitchen countertops are undoubtedly the ones made out of white marble such as Carrara or Calacatta. These materials have been used as kitchen countertops for quite some time and have been approved by the market for several reasons. One of them being the fact that each marble stone is unique and offers a very distinct and luxurious look. 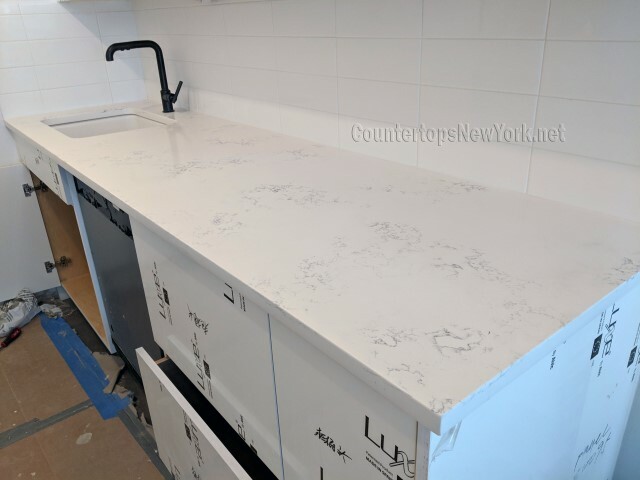 Recently, among the popular materials white quartz introduced itself because of its looks, similar to those of the white Carrara or Calacatta marble. This therefore makes it a material to consider as it offers the distinct look of marble and the resistance and durability of quartz. When choosing countertop popularity is definitely the least thing one ought to consider. That is why, we are going to discuss some key features offered by each stone. However, one should note that no material has it all but one may have more of the characteristics you desire. Quartz Being a totally man-made stone, the finished product offers a rich and luxurious appearance add durability. Besides, it is available in more colors than granite. The major defect of this material is its inability to stand heat. Granite on the other hand is a lot more resistant to heat. However, it is not perfect as its high porosity causes it to stain easily. 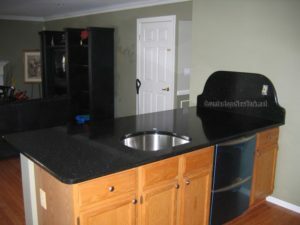 Therefore, one must take sealing seriously with granite as countertop.